At times we feel God is calling onto something new but we are not quite sure what it is. Maybe you feel that you need a fresh idea, a new ministry, extra team members or a different job. Here are two great stories about Peter in the Bible that teach us something about how God calls us to begin something new. 1. Jesus calls Peter to fish on the other side of the boat (John 21:6) – Peter and the Apostles have been fishing all night and haven’t caught anything. They have gone back to their trade after the death of Jesus and they know these waters very well. Yet an unknown man, Jesus, stands on the water’s edge and asks them to cast their nets on the other side of the boat. 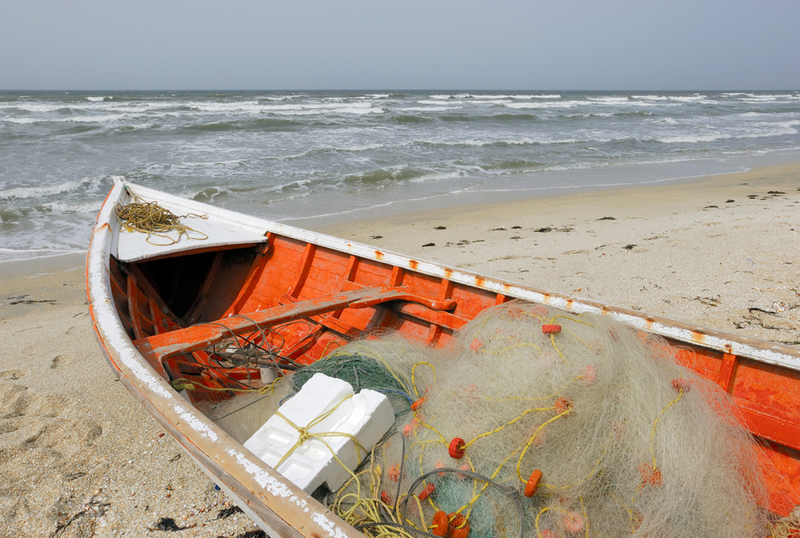 They cast their nets on the other side of their boat and they catch so much fish that the nets begin to tear. producing but it is a good team of volunteers, then start something new with the same team. This new ministry activity will produce fresh energy that could lead to growth. Or maybe you have a good model for a ministry but you just need to inject some new people into the team. Sometimes God calls us to stay in the boat but fish with a new perspective. 2. Jesus calls Peter to walk on water (Matt 14:27-29) – Peter and the Apostles are in a boat again, this time they are caught in a storm. Peter is worried about their safety when suddenly Jesus comes to them walking on water. Jesus calls Peter to get out of the boat and walk across the water to him. Again in this story we have Jesus calling out instructions to Peter. This time Jesus is calling Peter to leave his boat. To me this is a story about having the faith to leave the comfort of what we know to follow Jesus into something new. There are times in our ministry career where we have to leave our established boat (a particular ministry or church) to venture out into the unknown of a new ministry. Just like Peter in this passage, we have to have the faith to take the initial step out into the unknown without knowing the outcome. Sometimes God calls us to leave our boats behind and follow him. In the first story there can be a certain amount of comfort because you know the ministry, the church or the team. When God calls us to fish with a new perspective the challenge can be to inspire the team of volunteers to give it one more go. The resistance can come from people who say “we have tried things before and it didn’t work. Maybe it is time for you to begin something new but is it within the same organisation or are you called to leap out into the unknown. Both stories show us that following God takes faith and courage to get something new a try. Please leave a comment.